Hi Hazel, I would like to speak with you briefly to see if you're a good fit to coach me. Please contact me at your earliest convenience. Hi Vana, I would like to speak with you briefly to see if you're a good fit to coach me. Please contact me at your earliest convenience. Hi Samar, I would like to speak with you briefly to see if you're a good fit to coach me. Please contact me at your earliest convenience. Hi Mohamed , I would like to speak with you briefly to see if you're a good fit to coach me. Please contact me at your earliest convenience. Hi Atif, I would like to speak with you briefly to see if you're a good fit to coach me. Please contact me at your earliest convenience. Hi Tiffany, I would like to speak with you briefly to see if you're a good fit to coach me. Please contact me at your earliest convenience. Hi Michele, I would like to speak with you briefly to see if you're a good fit to coach me. Please contact me at your earliest convenience. Hi Monica Nagpal, I would like to speak with you briefly to see if you're a good fit to coach me. Please contact me at your earliest convenience. Hi Joshua, I would like to speak with you briefly to see if you're a good fit to coach me. Please contact me at your earliest convenience. Hi Toit, I would like to speak with you briefly to see if you're a good fit to coach me. Please contact me at your earliest convenience. Hi Katlego, I would like to speak with you briefly to see if you're a good fit to coach me. Please contact me at your earliest convenience.  Hi Raakesh, I would like to speak with you briefly to see if you're a good fit to coach me. Please contact me at your earliest convenience. Hi J-D, I would like to speak with you briefly to see if you're a good fit to coach me. Please contact me at your earliest convenience. Brad Bruce Mindfulness Based Cognitive Behavior Therapy, Rational Emotive Behavior Therapy, NLP Training, and over 15 years executive leadership experience. Are you an Entrepreneurship Coach?